The first Veteran Design Team project began in 2013 with a Design Team Challenge. We offered post 9/11 Veterans an opportunity to come together to create models that reflected our logo and organization values: educate, enrich, empower. The Team was selected from men and women attending The Art Institute of Pittsburgh as well as The University of Pittsburgh. Under the guidance of sculptor Allyson Holtz and former Board member and architect, Noel Kennard, the Veterans built eight cardboard models that reflected different approaches to the project. To reflect the collaborative process, we selected what we felt were the most prominent features and then arrived at our final concept. 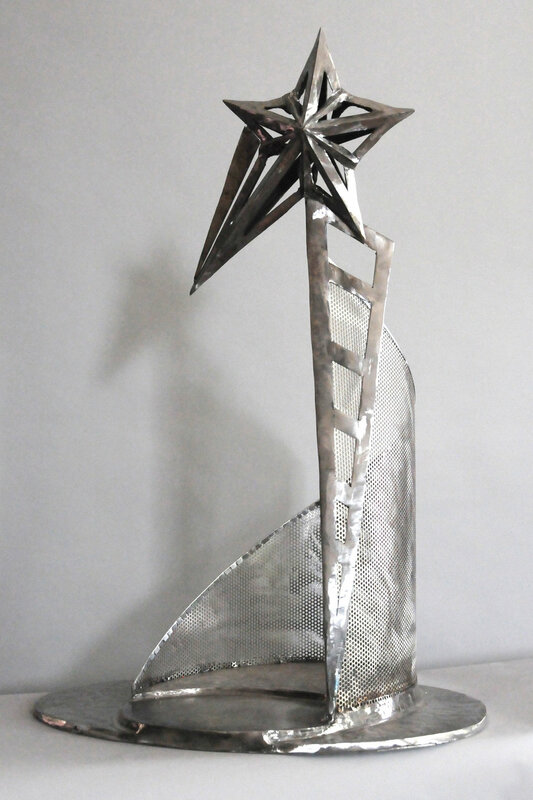 Under Kennard’s direction, the Challenge model was fabricated in 2014 by Veteran welders at Dean Institute of Technology, Pittsburgh PA. Inspired by the lives and service of T/Sgt. Vernon McGarity and Sgt. Thomas E. Vandling Jr. In 2015, Army Veteran Amos Behana approached OVArts with a request that he and members of his former company create an interpretative public artwork inspired by the life and service of SGT Thomas Edward Vandling III. 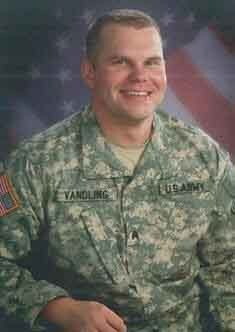 Vandling and Behana had operated with the 303rd Psychological Operations Company headquartered at the McGarity Army Reserve Center, Coraopolis, PA. Vandling served two tours in Iraq where he lost his life in 2007. For the project, the McGarity Army Reserve Center offered a suitable site: an existing 32’x 32’ concrete pad adjacent to a large grassy area that abuts RT 376 West. 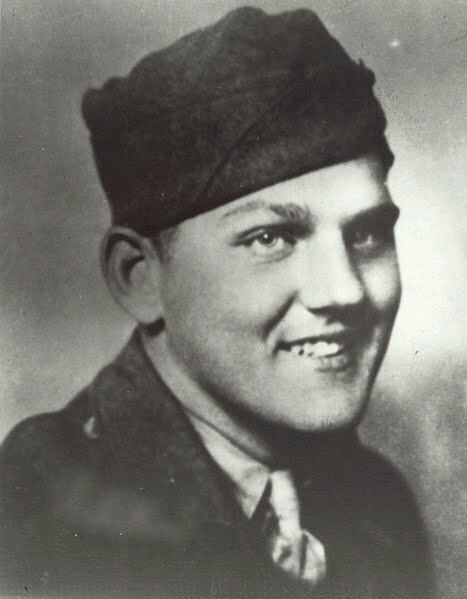 Military and civilian Reserve Center staff suggested an additional inspiration for the work: the life and service of WWII Medal of Honor winner Vernon McGarity, wounded in the Battle of the Bulge. A team of nine post-9/11 Veterans paralleled their own service experiences and stories with the paths of McGarity and Vandling. They conceptualized a permanent installation in which the viewer could walk a designated path that reflected the soldier’s journey. The Team decided this experience would encompass the four eras of modern warfare: WWII, The Korean War, the Vietnam War and the Iraq and Afghanistan arenas. The Design Team and Operation Valor Arts partnered with the Seattle based Land Art Generator Initiative. (LAGI) in regard to assistance with utilizing a series of printed solar panels to depict these four landscapes. The Team is now in the final stages of its design process. 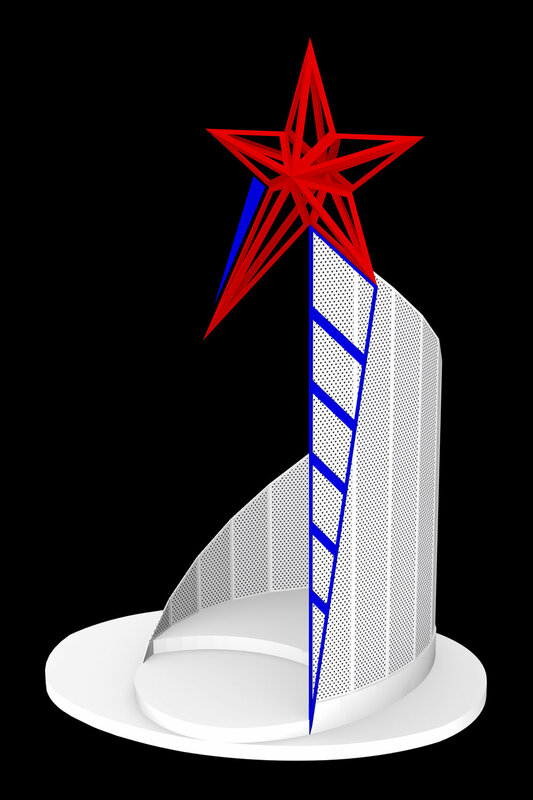 Construction is planned to take place in 2019. The new Forest Hills Design Team will include Veterans from Leadership Pittsburgh’s Community Leadership Course for Veterans (CLCV.) This course provides post 9/11 Veterans with the opportunity to develop a greater understanding of the Pittsburgh region and meet with business and community leaders. It also utilizes Veterans’ leadership skills to accomplish a community impact project in partnership with a local non-profit organization such as ACTION-Housing.